Purchasing HALL Spirit Wear greatly aids our fundraising efforts. Click on the link above for more information about how to buy HALL Apparel. HALL supporters to simply mention our organization at checkout so the sale can go toward the fundraiser. In the end, 20% will go to HALL! 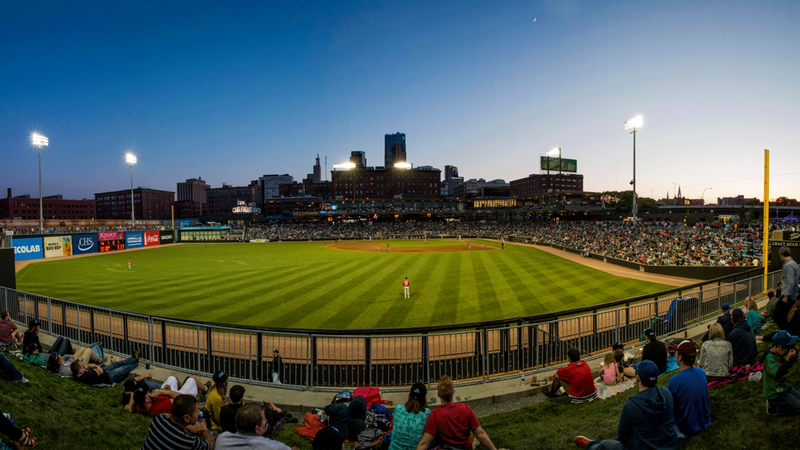 Join us as the St. Paul Saints take on the Milwaukee Milkmen at CHS Field. Tickets are $16 a piece with a portion of the proceeds going to HALL to help support our players. Purchase tickets online at www.saintsgroups.com. Password: HALL2019 Hope to see you there! Hopkins Area Little League depends on the generous support of parents, sponsors and the local community to continue bringing high quality youth baseball programming to kids ages 4-12. Our family friendly pricing is likely the lowest youth sports registration fees you will ever encounter. We structure our pricing like this because we want as many kids to experience youth baseball as possible. We also provide scholarship assistance when need. Active participation in league wide fundraisers and sales from our concession stand have allowed HALL to fight the need to increase our fees. Thank you for supporting us. For more information regarding a donation to HALL, please contact Scott. than any other youth sport around. as they grow up in Hopkins. Funds raised by our concession stand help us keep our fees low, and fund the ever growing need for player scholarships. The treat tickets you purchase via your team are a big part of the equation. Especially for the younger kids new to baseball. It help create the overall HALL experience for your child and form the memories they carry throughout their life. ©2019 Hopkins Area Little League / SportsEngine. All Rights Reserved.